Our collection of shield shaped plaques are truly unique. 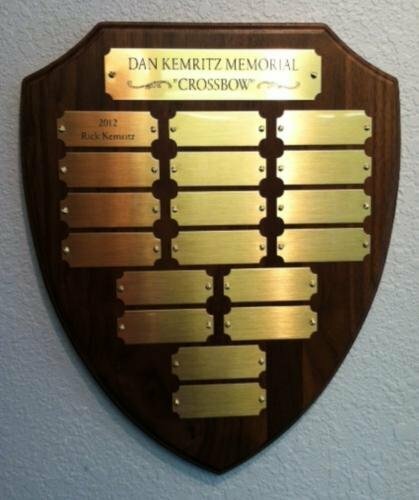 These plaques feature a shield shape and are great for any award presentation for achievement, employee success, or as awards and gifts to clients for service awards. Definitely classics in design and richness. Perfect Firefighter Award! This Maltese cross shaped solid American walnut plaque includes a 2" emblem at the top. Individually boxed. See "options" below for available Organizational Inserts. PRICING INCLUDES ENGRAVING !